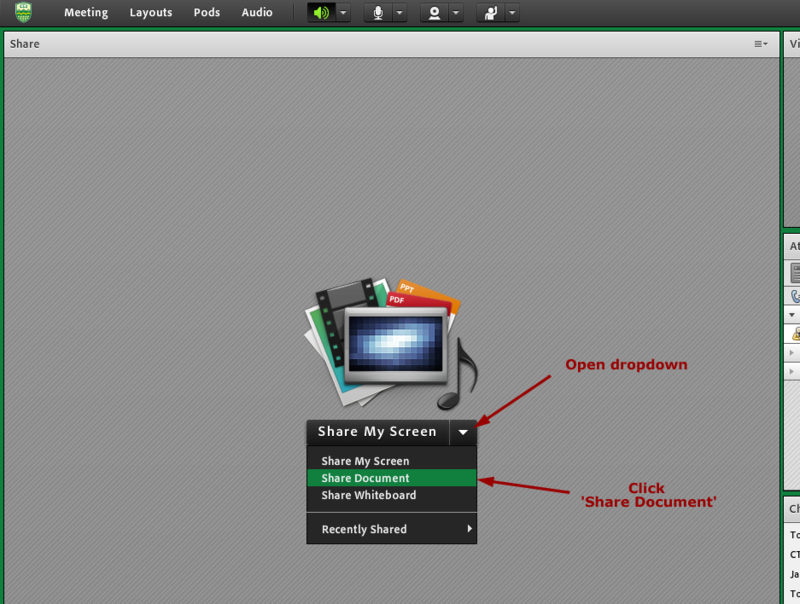 There are 2 main uses for the share pod in eClassLive: sharing specific files such as lecture powerpoint slides; and sharing specific applications, windows, or portions of your own computer screen. 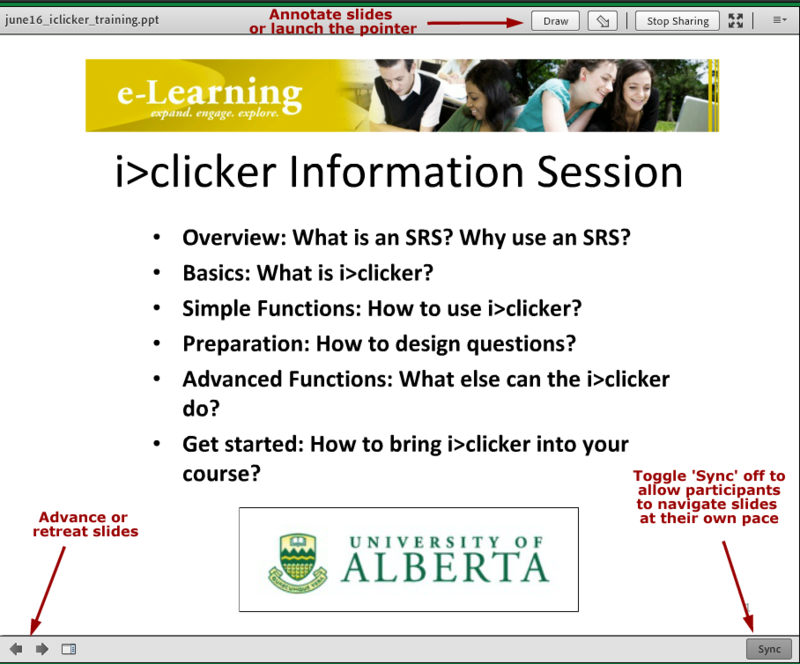 Using any Share pod available in your eClassLive session, you can easily upload and deliver a powerpoint presentation online to your participants. Click on Browse my computer and locate the powerpoint file you want to upload. Once you click Open, you will see a notification that the file is uploading and converting. Once complete, you should see the first slide in your presentation along with the associated controls for advancing slides. You are now ready to begin delivering your presentation and, assuming your audio is setup, can begin lecturing using your microphone. 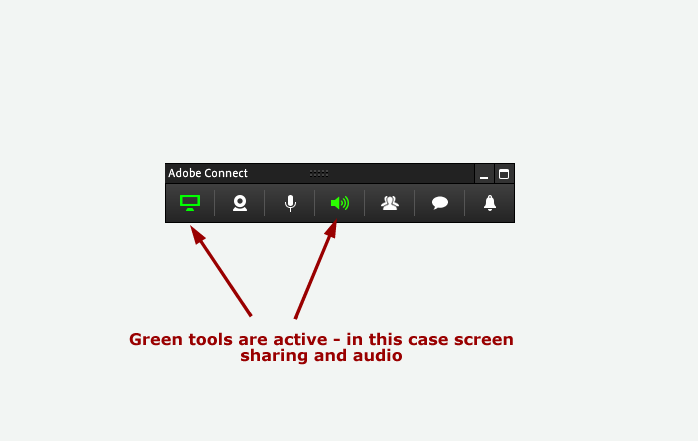 The other main use of the Share pod in eClassLive is to show a window, application, or any other piece of content that you have displayed on your monitor. 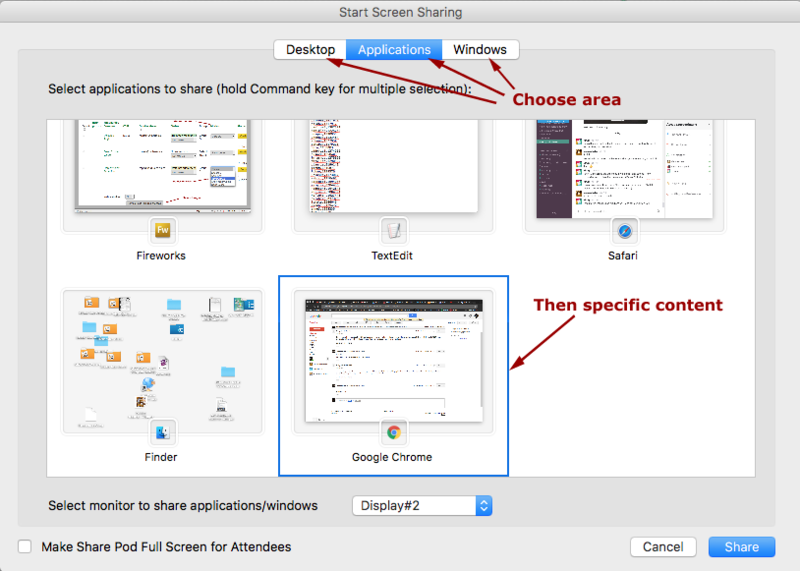 In the center of the pod, open the Share My Screen dropdown by clicking the top right triangle and select Share My Screen. 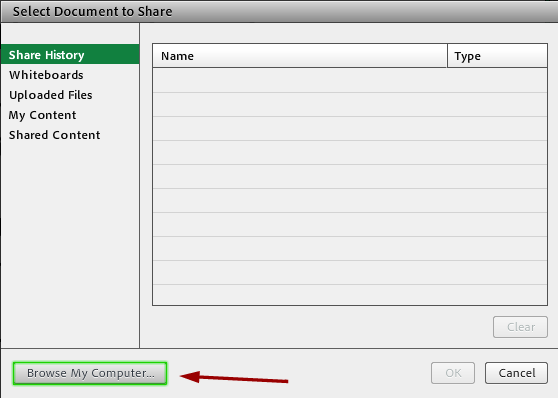 When you do this, a dialogue will open to confirm that Flash can access your computer and will verify that the meeting has been launched in the Adobe Connect Add-in (which is required for Screen sharing). Next, in the Start Screen Sharing dialogue, decide what area to share from the entire desktop from one of your displays, an application, or a specific window of an application and select the previewed location where your content appears. Click Share. Once content is being shared, the mini-controller will launch and give you a brief preview of what is being shared before shrinking down to a small, moveable toolbar. 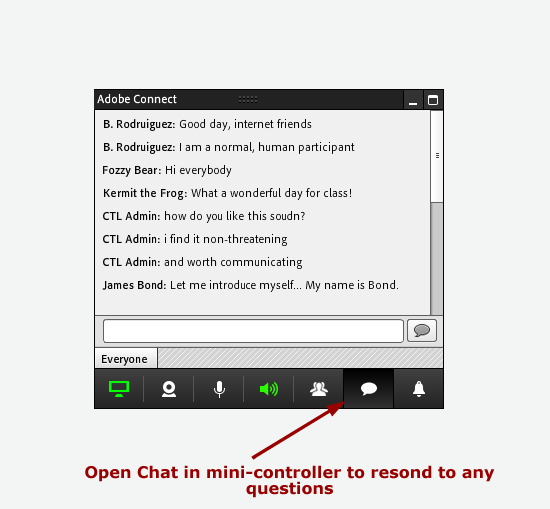 The controller offers access to eClassLive functionality while still working with whatever content you are sharing. 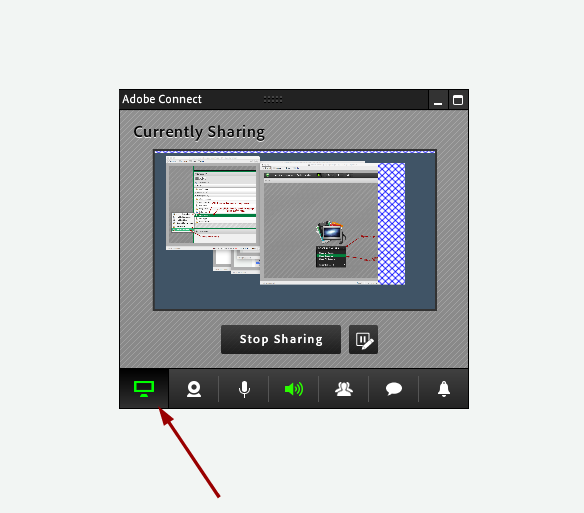 To view a miniaturized version of the content you are sharing, click the Sharing icon. 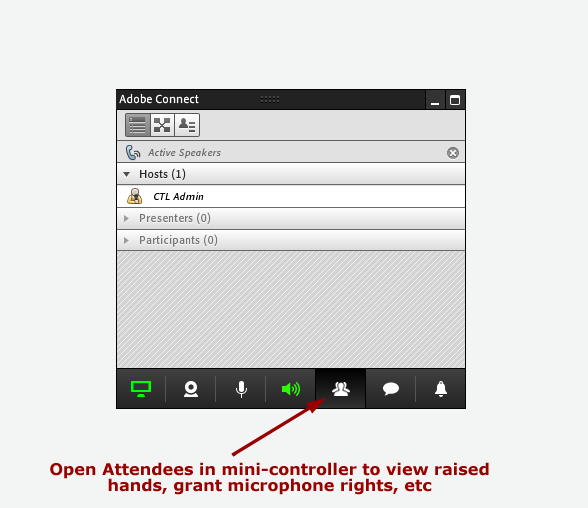 You can launch the Attendees or Chat pods in the mini-controller to interact with participants while leaving your screen share intact.